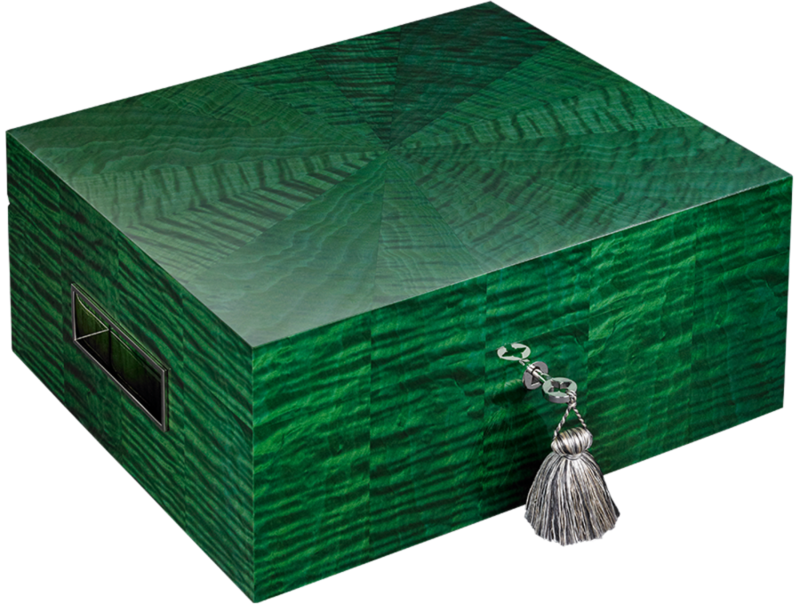 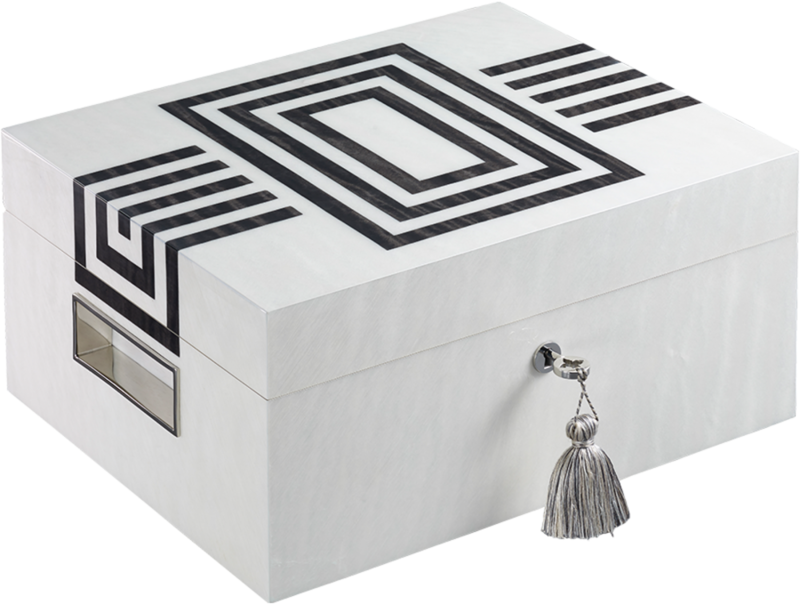 Our “Astaire - Night” Tea Humidor from the Déco Collection is in two tones of sycamore wood, with striking white geometric lines set against a charcoal grey background. 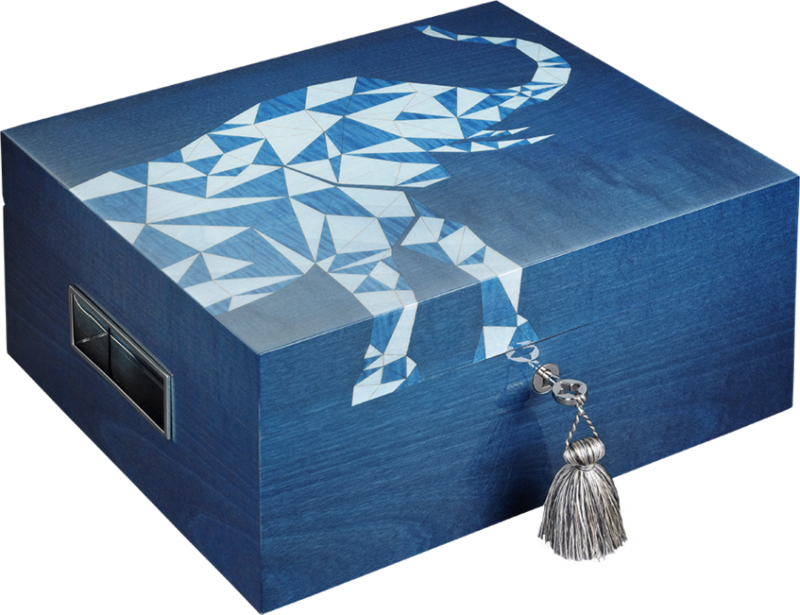 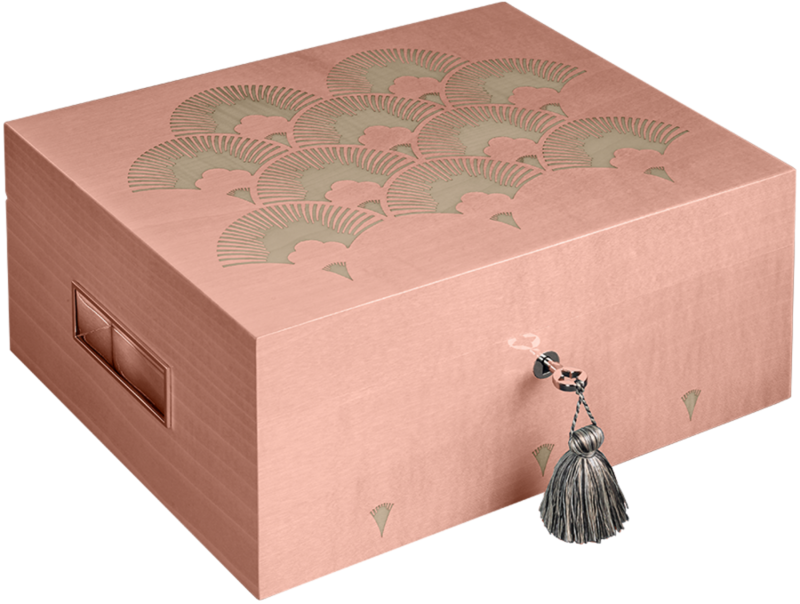 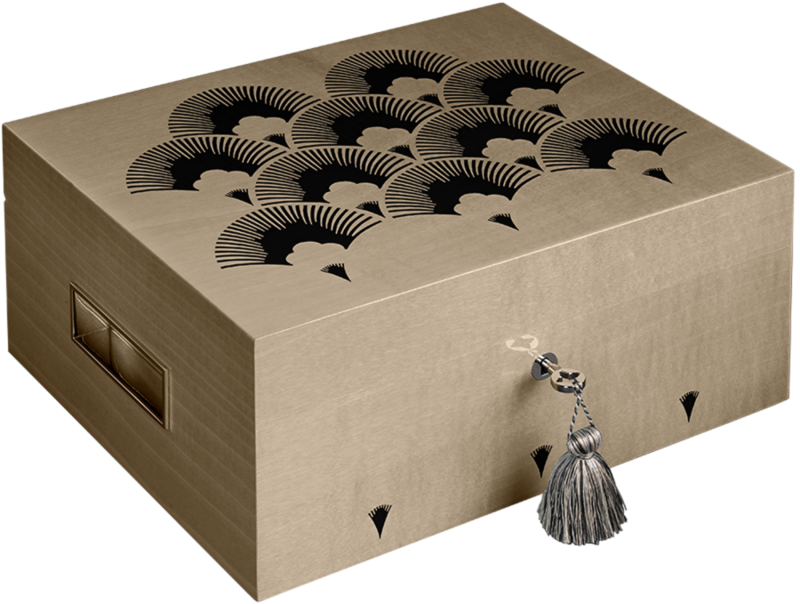 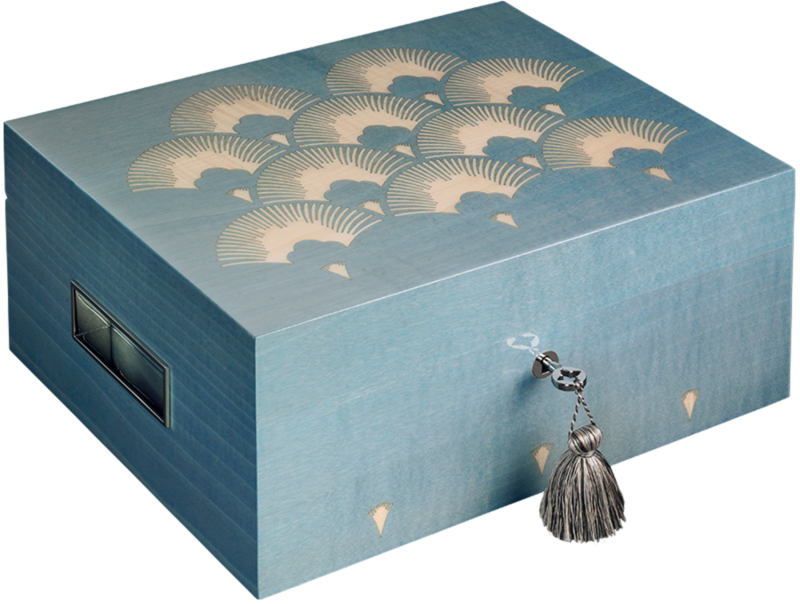 Each Tea Humidor design is available in two optional configurations. 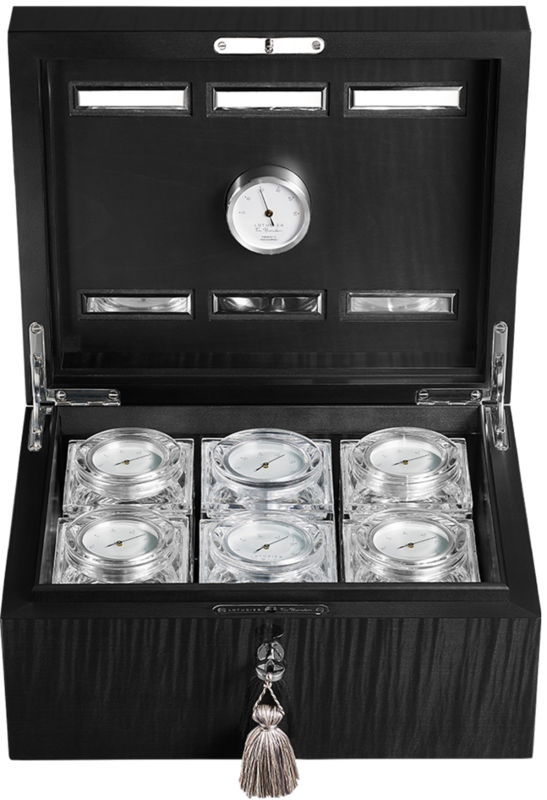 The version with 4 crystal containers includes tea accessories, which comprise a strainer and tea scoop in stainless steel, as well as 4 chrome-capped glass sand timers for different durations, all housed in a purpose-made stainless steel upper tray. 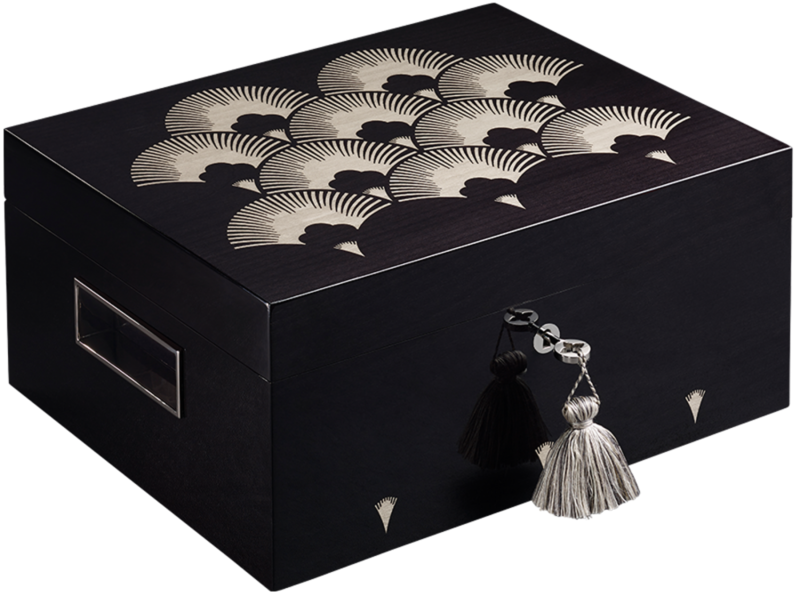 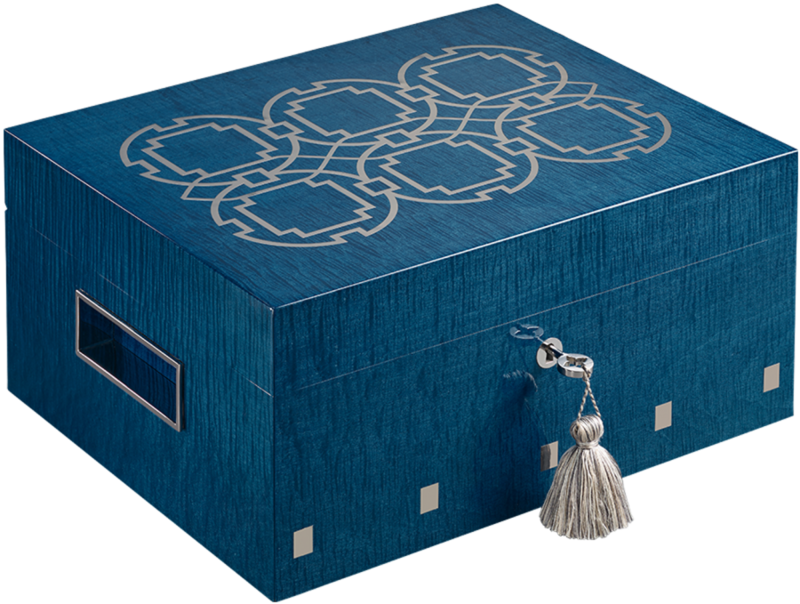 The alternative configuration with 6 crystal containers devotes all the available space to tea storage, maximizing the ability to store different tea types or quantities of tea, and therefore does not include accessories. 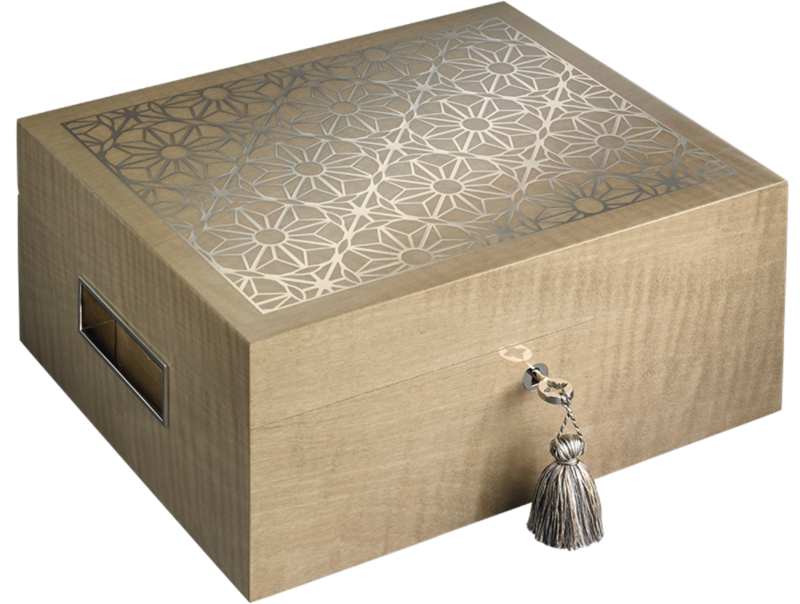 Each crystal container is made of the finest hand-blown crystal and has a special polished stainless steel base, where the two-way humidification pack is stored. 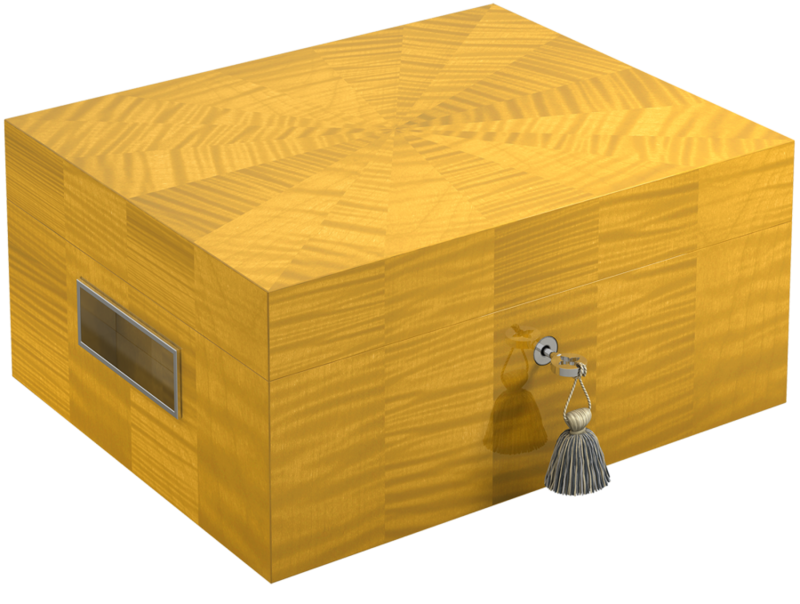 All fittings and hardware are made of polished stainless steel. 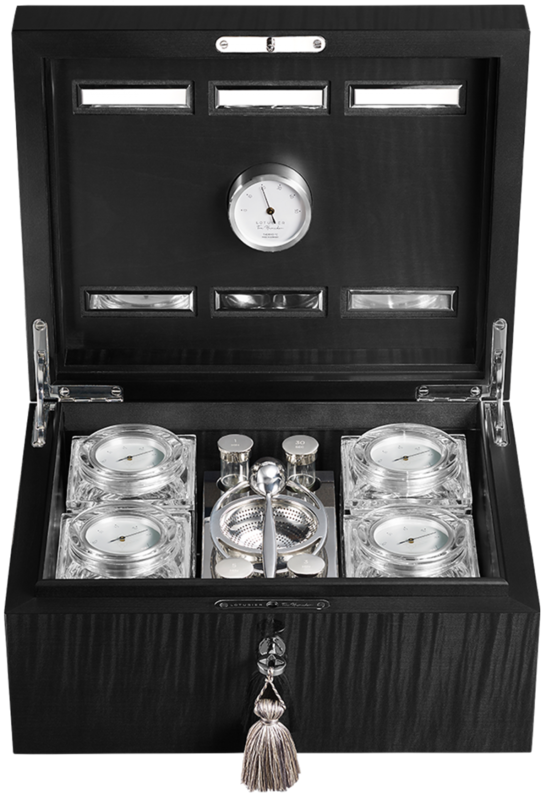 Read more about the Tea Humidor in the guide section. 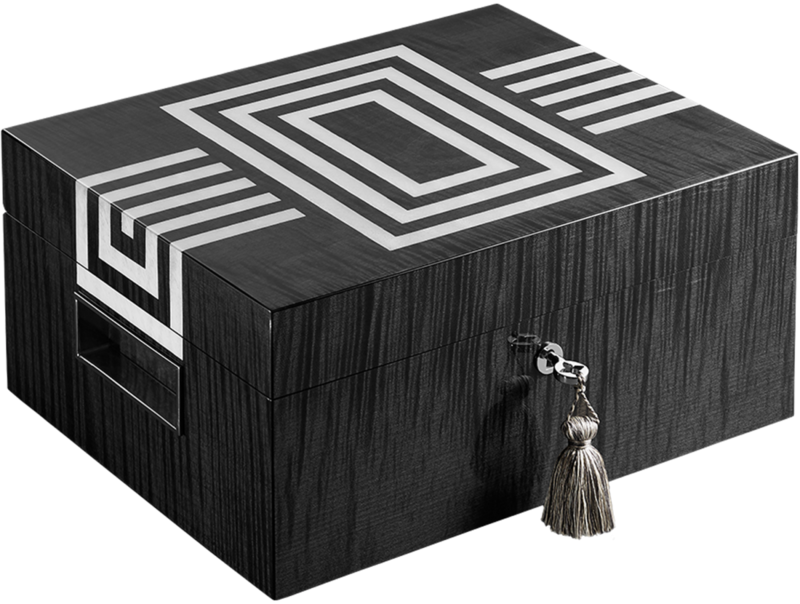 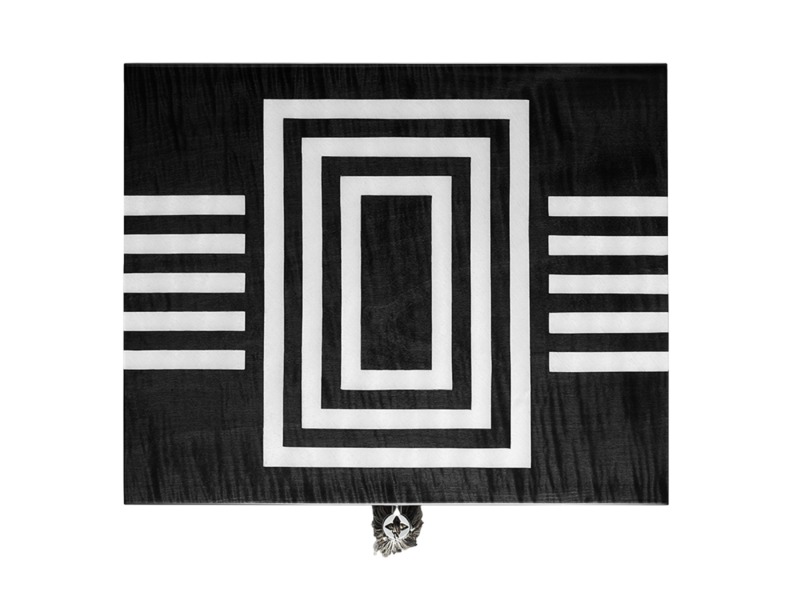 This product can be personalised at check out. 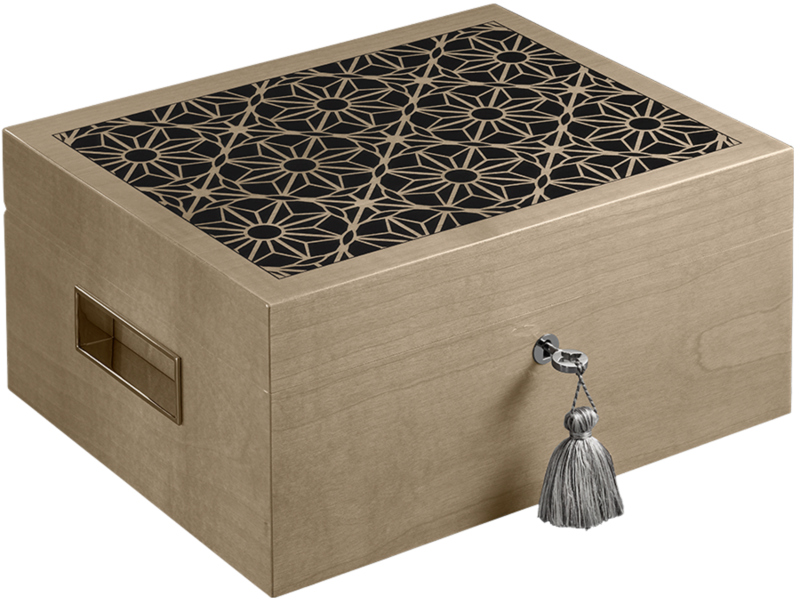 The Tea Humidor encompasses over 20 distinct components, crafted in 12 workshops, in 4 countries: Germany, France, Italy, and Switzerland.